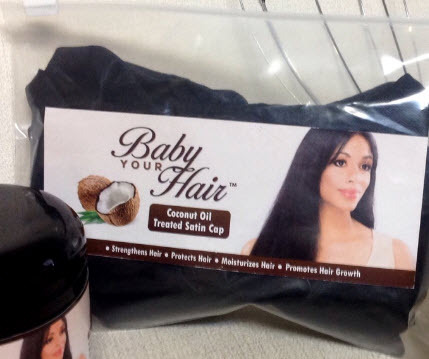 Our Coconut Treated Oil Satin Cap protects. moisturizes, and strengthens your hair! It is a unique satin cap that it is designed to keep your hair conditioned and healthy through the night while you sleep. All 4 pieces of the Baby Your Hair ™ System "work together" to grow....Thicker, Longer, & Stronger hair!